Edinburgh-based investment company Standard Life Investments has launched its first ‘impact’ product. The Standard Life Investments Global Equity Impact fund will be co- managed by Sarah Norris and Dominic Byrne, the company said in a statement announcing the launch. 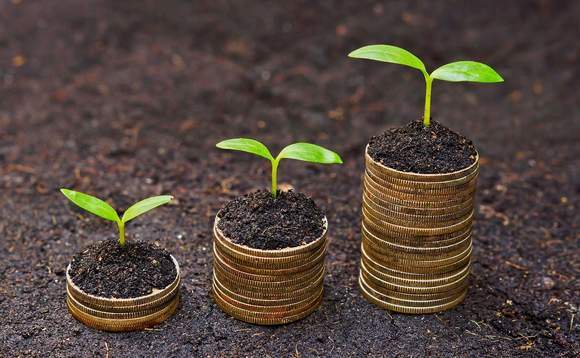 Standard Life Investments (SLI), part of recently merged investment giant Aberdeen Standard, said that impact investing involves investing in companies that have the intention of generating “measurable positive social and environmental impact” alongside financial returns. While environmental, social and governance analysis is used by many investment managers, SLI believes that screening for positive impact is now “ready to enter the mainstream”. Euan Stirling, global head of stewardship and ESG investment at Aberdeen Standard Investments said: “Impact investing is not just about rewarding those already making a difference, but about shifting the might of the capital market to change the world for the better. “The world faces numerous challenges, from climate change and poverty, to inequality and pollution. As asset managers, we believe we can play a vital role in helping to address these issues. Through the Global Equity Impact Fund we aim to have a positive social and environmental impact, while still delivering an above-market financial return for our clients”. Fund manager Sarah Norris, said that there are a lack of “appropriate investment solutions”, but believes that the UN’s Sustainable Development Goals (SDGs) provide “a common language” for impact solutions that help “unlock” impact investing for mainstream investors. The 17 United Nation’s SDGs act as a framework to develop its own impact process and analysis for the fund. All 17 SDGs are incorporated into the fund and the UN’s associated targets will “inform the investment process”. The fund then invests in companies whose activities, technologies or products are specifically designed to provide solutions in areas such as healthcare, education and poverty.